Similan Islands Snorkeling Tours are in the Top 10 Activities in Phuket Island and Khao Lak Beach. 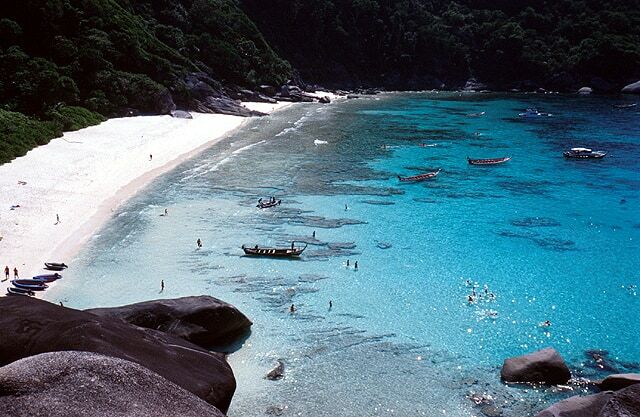 The Similan Islands are located just an hour and a bit by speedboat of the coast of Khao Lak on Thailand’s West Coast. 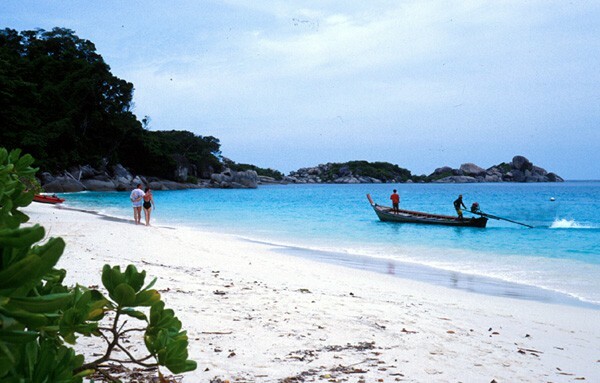 The Similan Islands are a National Marine Park and only open for visitors from mid of October to Mid of May. 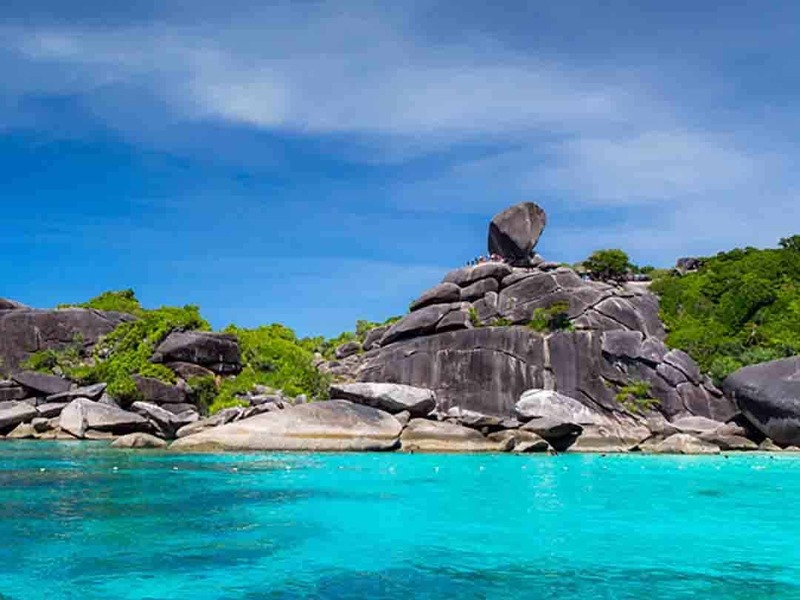 The Similan Islands are a group of 9 islands which are running from south to north. Similan No. 1 – Koh Huyong is the most southern island in the Similan Island group and was closed for tourism back in 2001 for the Turtle Conservation Project. Similan No. 2 – Koh Payang is located a bit north of Koh Huyong and is also closed for visitors due to the Turtle Conservation Project. Similan No. 3 – Koh Payan is a small rocky island north east of Island No. 2 and is as well closed for visitors due to the Turtle Conservation Project. Island No. 4 – Koh Miang has a Ranger stations and offer basic accommodation in Tents or Bungalows. The island is a main base for most Snorkeling tours from Khao Lak as it has 2 beautiful white sandy beaches called located at Princess Bay and Honeymoon Bay. For more information about accommodation on Similan Island just visit the National Park Website. Island No. 5 & 6 – Koh Haa & Koh Hok are located to the east of island No. 4 and not really islands, as just 2 big rock formations that are surrounded by shallow reefs with white sand, which makes it very popular for snorkelling and scuba diving. Island No. 7 – Koh Payu is straight north of Island No. 4 and has a rocky shore with only a few little beaches. The Island is popular among Scuba Divers and also visited by snorkeling tours. Island No. 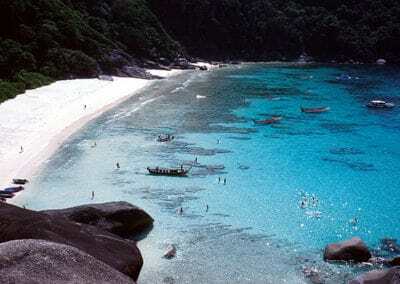 8 – Koh Similan is the biggest Island in the Similan National Park. Its home to a Park Ranger Station and well known for the famous Donald Duck Bay and it’s view points. Same as Island No. 4 this island is the base for many day trip tours from Khao Lak. 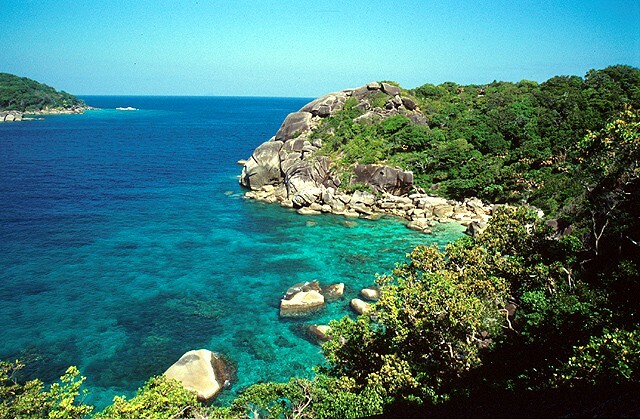 The east side of the island offers one of the longest reefs in the Similan Islands and offers great snorkeling. Same as on Island No. 4 you find tent & bungalow accommodation provided by the National park. Island No. 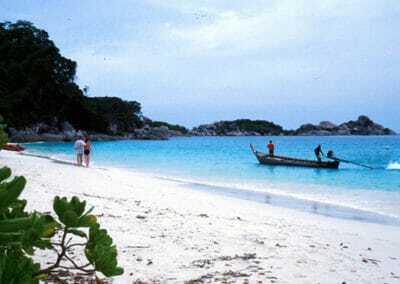 9 – Koh Bangu is the most northern of the Similan Island group and is very popular for snorkelling and scuba diving. Many snorkeling tours will first take you snorkeling around Island No. 9 before heading to Island No. 8 for a beach visit and lunch. 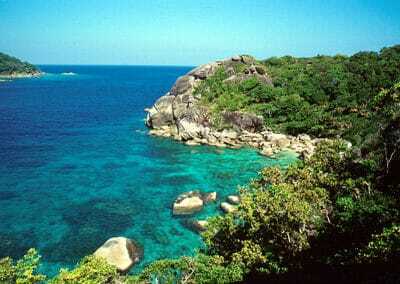 Khao Lak is the main gateway to Similan as located right opposite this chain of Islands. Daily Speedboat Snorkeling Tours from end of October to beginning of May. 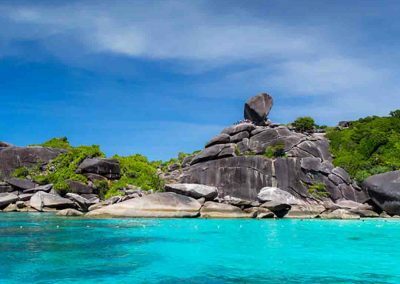 Don’t miss a snorkeling tour to Similan Islands while on a holiday in Khao Lak Beach. 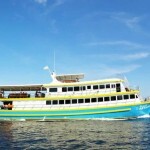 MV Oktavia is a scuba diving liveaboard boat that also caters to Snorkellers and beach lovers. From October to May Oktavia offers short 2 day / 2 night snorkeling cruises to Similan Island and 3 days / 2 nights snorkeling Trips to Surin Islands. You also can join the full 5 day / 5 night snorkeling safaris which is combining Similan Island & Surin Island. Contact Easy Day Thailand now for your Similan Islands Snorkeling Tour. Just use our easy 1-2-go form below. Our Easy Day Snorkeling Team will get back to you shortly with a selection of options that meet your needs.